The Shingle Shear is designed to allow you to make 100’s of different cuts in a day without any set up or adjustment. With our quick reference cutting you can cut any length or any angle without any set up or adjustment, enabling you to make 100’s of different cuts a day in the easiest and fastest manner. This saves you time, making you more profitable. Inlaid tape measure, full length out to 40” with no omissions. Inlaid angle guide that corresponds with roof pitch so there is no time wasted trying to figure out the angle. Lightweight aluminum construction—weighs only 16 pounds. Big rubber feet and roof hook for use on any pitched roof. Blade can be sharpened and replacements are available. 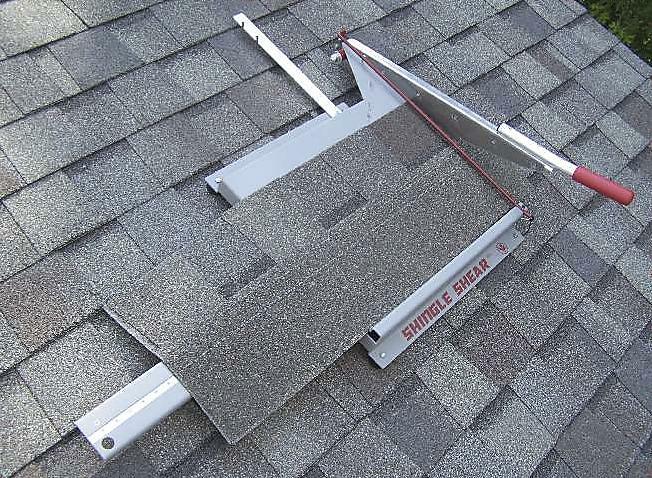 The Shingle Shear (Contractor Model 03) is sold through a network of fine dealers across the United States and Canada. Select your state or province to see a list of dealers in your area. 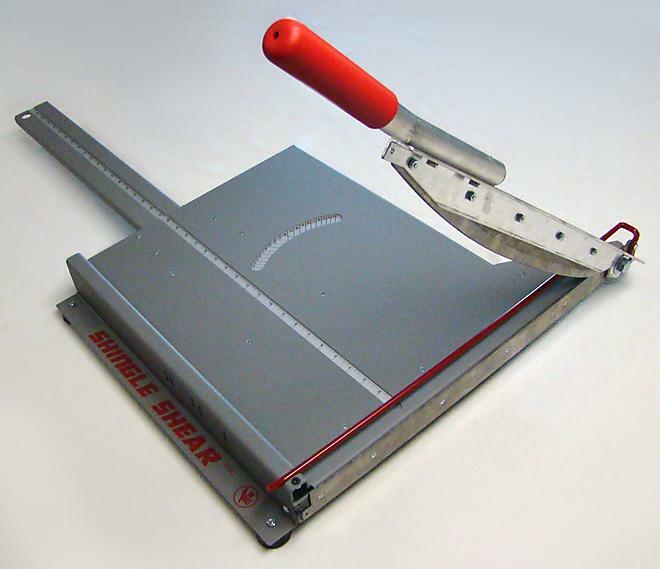 Interested in becoming a Shingle Shear dealer? 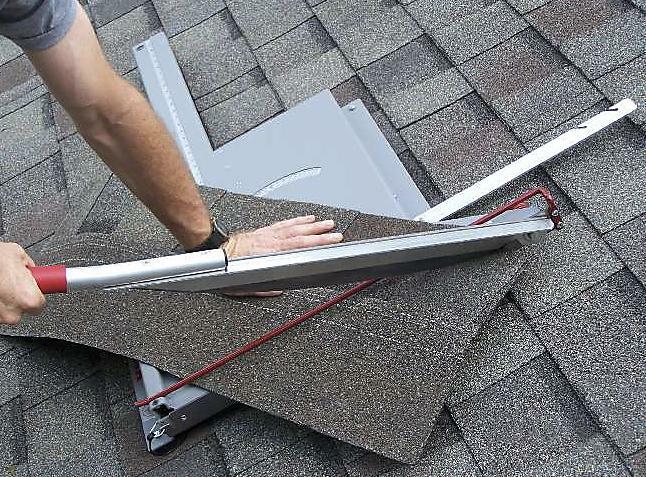 Contact us here for details on joining the Shingle Shear family. We stand behind our products. If for any reason you are not happy, please let us know because we want to make it right. Copyright © 2011, Howard Tools, Inc. All rights reserved.